His Excellency, Umaru Tanko Al-makura, the Governor of Nasarawa State and Visitor to the University has approved the appointment of Professor Muhammad Akaro Mainoma as the Vice-Chancellor of the Nasarawa State University, Keffi. The appointment takes effect from Wednesday, 8th October, 2014. 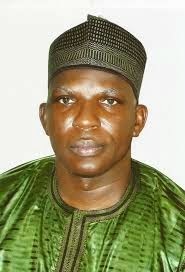 Born on 26th September, 1965, Muhammad Akaro Mainoma is a Professor of Accounting. He was at various times Dean of Faculties at the University of Abuja; Kaduna State University; Nasarawa State University, Keffi; and Deputy Vice-Chancellor, Nasarawa State University, Keffi. Until his present appointment, Professor Muhammad Akaro Mainoma was the Acting Vice Chancellor of the State University, Keffi.